Most people nowadays avoid the hassle of carrying cash when shopping. Instead, they are using credit and debit cards, to buy groceries. Statistics indicate that customers tend to spend more money in a business premise with a smart card reader, which accepts cards. Accepting cards means increased potential for growth. To support cards, you need to invest the in right magnetic stripe reader. It can read data stored on ATM cards (credit and debit), store-memberships cards, identity cards, and more. Information on the card includes the name of the person, card number, expiration date, and country code. The card can have three tracks each holding different information accessible by the smart or flash card reader. In most cards, the first track contains the full names of the person. Second tracks include further information sufficient for billing. The third track rarely contains information and may not feature on most cards. 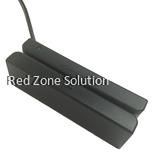 However, the modern magnetic stripe reader available from Red Zone can support three-track cards. Enhance Your Business Image: Adding the smart card reader to your POS system creates trust among customers. Once you accept cards, there is a level of connection with customers creating royalty. Increased Sales: Potential customers will frequent your store because of the convenience card technology offers. No matter the amount of shopping they can pay comfortably. Accepting cash can limit the amount they spend since most people don't like having many bank notes on their person. Impulsive Buying: Most people plan on what to shop, but they always end up purchasing something extra. If you have a plastic card reader ready, they don't have to run to the ATM to get extra cash. Improve Cash Flows: Once the smart card reader captures information. It is first, verified using a third-party system such as the bank and funds are deposited into your accounts quickly. You don't have to frequent, the bank to make deposits every second. Customers Convenience: People want a method that saves them time and one which doesn't limit the amount they want to spend. Banks also grant offers to credit holders who use this form of payment. Thus, customers are always motivated to use them, another reason to purchase a magnetic stripe reader. Inexpensive to Implement: If you have a POS system, adding support for credit cards is a minimal expense. It will pay itself off quickly; as customers increase their expenditure at the store. Low Transaction Fees: Although using credit and debit cards, attracts fees they are generally flat; between 1-3%. For the numerous benefits, the business derives from credit card use; it is a price to pay. Running and configuring the device to work with the POS, is a simple procedure. 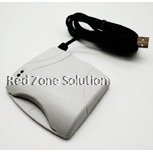 Since it comes with a USB cable, thus you plug the smart card reader; and it will install a program and drivers. You can link it to a verification system either through a phone line or internet. Depending on the cards you support the provider will guide you through the process of receiving money and debiting.